Congratulations to Ph.D. candidate Mara E. Culp, whose article titled "Improving Self-Esteem in General Music" has been published in General Music Today. An abstract of the article is available here. Mara received her Bachelor of Music Education degree in 2007 from Siena Heights University in Adrian, Michigan. Originally from Adrian, she won many awards while a student at Siena Heights, including the 2006 award for "Student of the Year in the Visual & Performing Arts and Education," departments as well as the 2006 "Outstanding Student in Music." After graduation, she taught K-12 music at the Will Carleton Academy in Hillsdale, Michigan for five years. 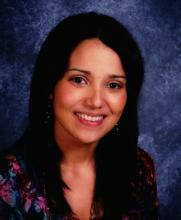 She holds her master's degree in music education from Penn State.